I was pretty good this month and (almost) only bought stuff while I was on vacation in Florida. Surprise, surprise, it's all Disney! I bought a super cute sweatshirt that has a fuzzy Mickey on it and then a Mickey ring matching earrings (I bought February even though I was born in October, haha.) I used advertising money for the jewelry. Then I found another amazing deal at DSW when I was out with my mom. Some super cool Vince flats. They were another 80% off clearance find so I saved over $250! I had actually tried them on a month or two earlier but they were only 30% off then. I haven¡t added my YTD purchases... but I think yours is quite reasonable. I'm also impressed by the careful tracking you do in relation to this...I wish I could start being this disciplined! That is a awesome you were able to grab those shoes on extra sale, and they are so pretty and so very you! 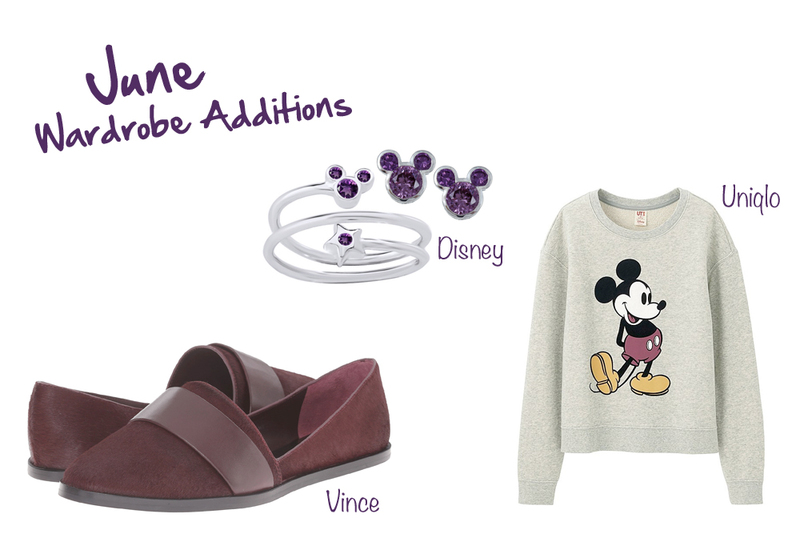 Great buys, I love that mickey sweatshirt --looks so cute and vintage!